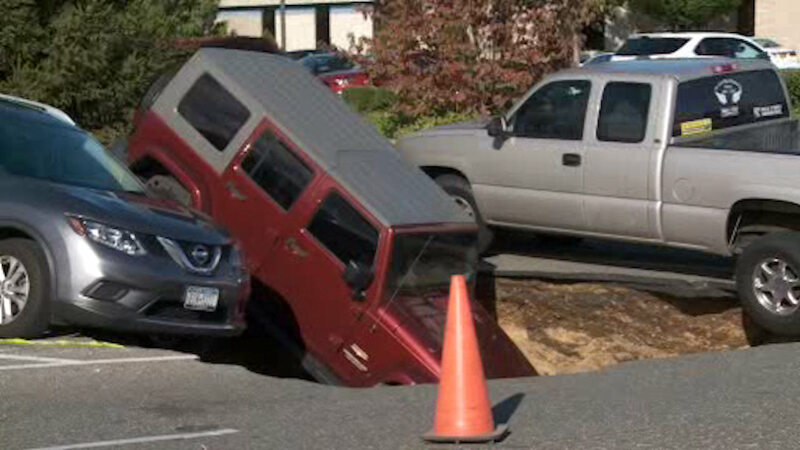 BETHPAGE, Long Island (WABC) -- A large sinkhole opened up in a parking lot on Long Island on Friday afternoon. It happened in Bethpage right off of Hicksville Road. The sinkhole swallowed three vehicles. The front half of the vehicle caught in the very middle was almost fully underground thanks to the massive hole.